When you think about South Australia you might think about festivals and fine wine. 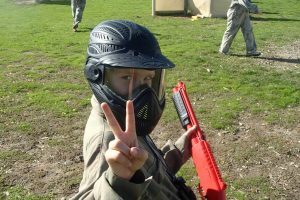 What you might not know is that paintball in South Australia is fast becoming one of the most popular activities for locals and tourists alike, with a majority of paintball centres located in and around Adelaide. Although the City of Churches is not known for its action-packed sports, paintball is definitely making its mark due to the adrenaline-fuelled excitement had when paintballing. 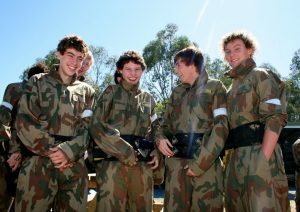 With more paintball centres in South Australia than ever before, the quality and facilities are constantly improving meaning it’s now safer and more comfortable to play paintball. Every weekend players of all ages are taking to the battlefields to experience the thrill of paintball. Be it for a birthday party, buck’s or hen’s party or corporate outing, paintball is a sport that everyone can enjoy. The beauty of the game is that there is a way to play that suits everyone. Currently we do not have any AUPBA-approved paintball centres in South Australia, however we are constantly on the lookout for centres that can become AUPBA-approved and join our network of premium paintball centres.